Day 87: You’ve been RACK’ed! I’m so excited about this act of kindness. I’ve been thinking about it for a couple of weeks, but with my recent big CFS relapse have had to put it on hold. But as I start to feel a little better, I made it to the shops a couple of days ago to buy some treats to make some festive goodie bags; and I was delighted to have enough to make 24 bags! Alongside a few sweet treats, I added a party popper, a festive feather and a Christmas bauble. 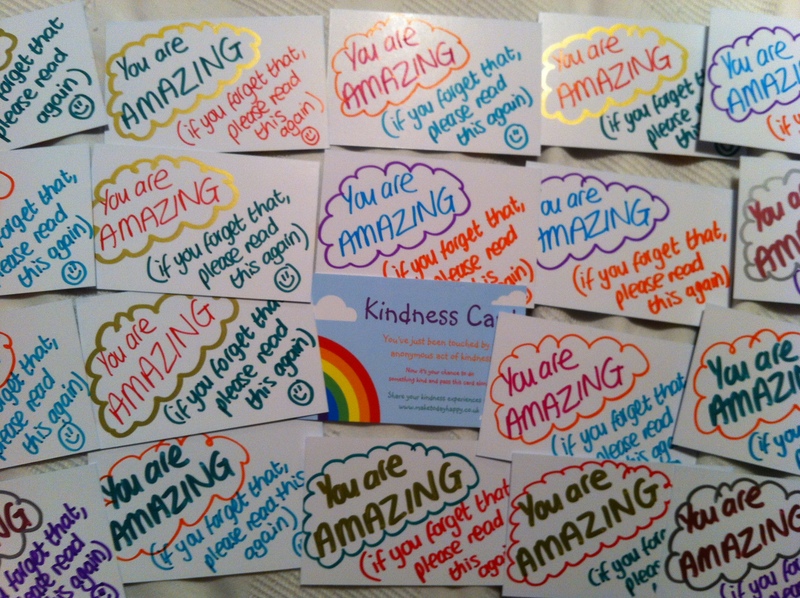 I also included one of my brand new Kindness Cards with the message: You are AMAZING (if you forget that, please read this again). 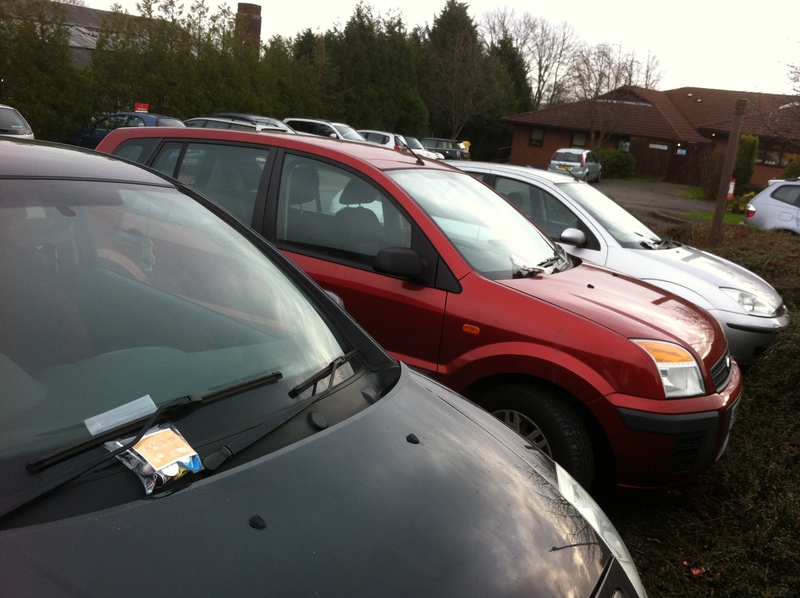 So today I nipped out to pop a goodie bag onto the windscreen of the cars parked in my local doctors’ surgery car park. I really hope that it will be a nice surprise for those who’ve just been to see one of the doctor’s about a health issue. 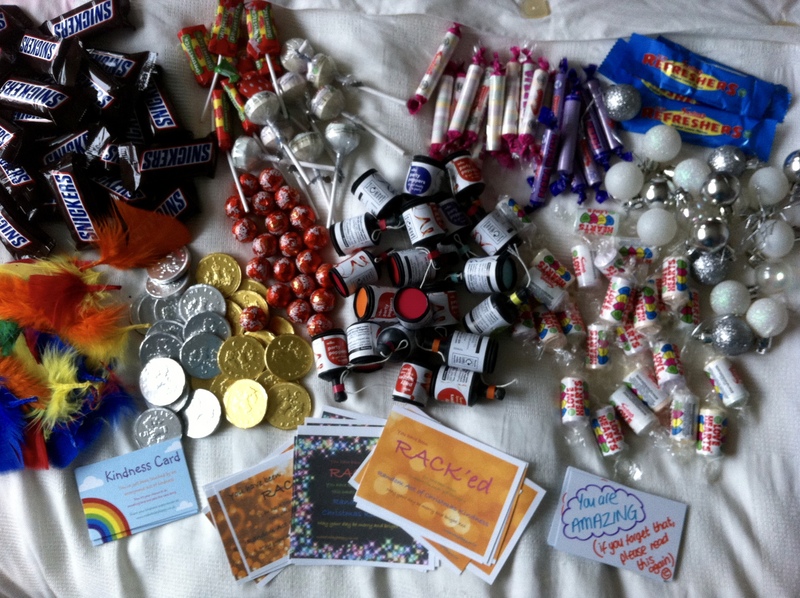 With the rest of the goodie bags, I hope to feel well enough to head into the city one day next week and will either hand them out or will hide them for people to find. If not, I’ll work something out. So with this in mind, my happy for today is being kind by leaving festive goodie bags on car windscreens at the doctors’ surgery. Author HelenPosted on 17th December 2015 17th December 2015 Categories 100 days of happy, more acts of kindnessTags act of kindness, CFS, fatigue, festive, kind, RACK7 Comments on Day 87: You’ve been RACK’ed!